Many would say (are saying) that we are already facing a deep crisis in terms of our industry's ability to encourage and retain talent from a range of backgrounds. As young people without the benefit of privilege discover they can't make it work, we collectively undergo a kind of cultural apartheid. The range of voices telling stories narrows to a thin, white, male, middle class trickle. It took Tangled Feet 16 years to achieve the stability of regular funding, and for a large part of the first decade the ensemble was sustained on friendship, loyalty, creative curiosity and a huge number of second jobs rather than actual tangible resources. It wasn't easy at times, but we've always been passionately committed to the methodology and the politics of ensemble working, despite it being often at odds with a theatre industry that isn't set up to nurture work made collaboratively and often over long periods of time. 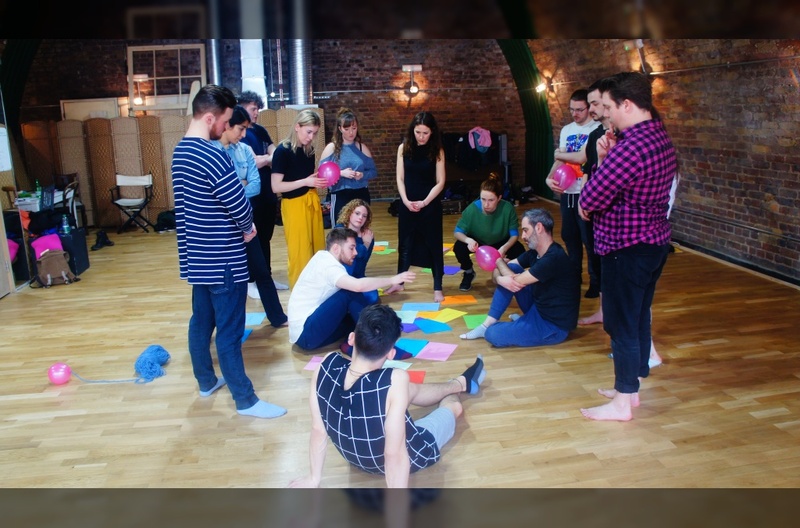 We created our ensemble mentoring scheme four years ago to address what we saw as a yawning chasm in terms of support for this type of theatre-maker. Although we don't have a building and aren't (often) in the position to give companies money or development time (those vital things that Lyn rightly identifies), our ensemble mentoring scheme aims help emerging companies develop the skills they are going to need to negotiate the difficult early years and to make the most of opportunities that do present themselves. As one of our mentored companies summarised this year "it gives us something we didn't realise we needed, but we really do: time to think about the company, and not just the work". 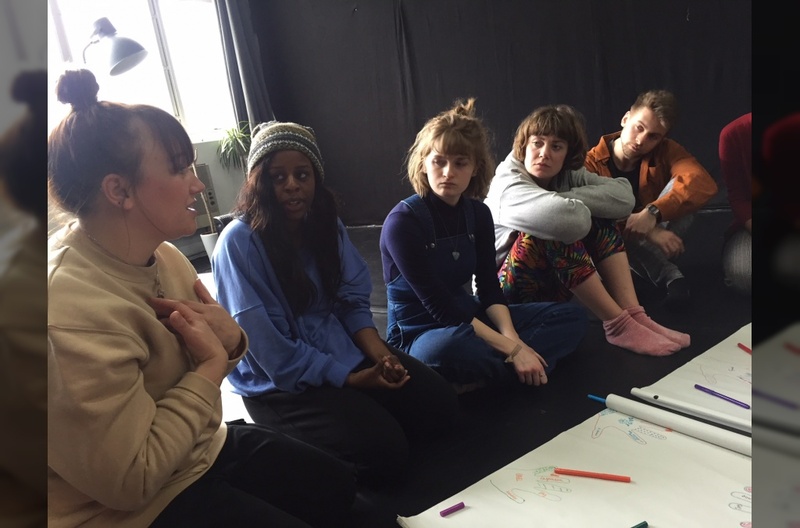 As an ensemble, you've probably discovered a fantastic creative alchemy together – but how do you negotiate roles when it comes to the immense legwork of getting a show out there? Who does the administration and the finance when (probably) none of you have the training (or necessarily the inclination) to do those things? How do you put together a tour, write a budget, structure a funding application, construct a marketing strategy, pitch to a venue? And how do you develop the resilience, as a group, to stick with it when times are tough? In our experience, a lot of it is learned through trial and error, making mistakes. A lot of talented ensembles hit a wall or run out steam trying to negotiate a landscape that, as Lyn Gardner identified, isn't particularly receptive to creative ideas that don't develop through script form, and is hugely resistant to the perceived 'risk' of new talent. Our scheme runs for a year, and over four weekends we bring companies together to learn from our mistakes and from each other. As well as workshop sessions with experienced professionals to develop all of those producing skills that we are supposed to develop somehow via osmosis (fundraising, financial management, pitching, tour planning, marketing etc) we offer each company a dedicated mentor for the year who they can call on for advice or guidance in whatever form they need. We've found that it's really valuable for companies to have this sounding board – someone they can ring at 9pm on a Thursday night for some urgent advice about negotiating with a venue, who'll help them make difficult judgement calls about when to stand their ground about something and when it's best to work a compromise. We also help them find a route through the madness of Grantium. The majority of the 13 companies who've now undertaken the scheme have put in their first Arts Council bid with our support. All of those bids have (touch wood) been successful so far. And Tangled Feet continue to cheer from afar as our previous mentees go from strength to strength – in the last few weeks Ditto Theatre and High Rise have been shortlisted for the New Diorama/Underbelly Untapped Award and Ivo Theatre have landed a commission as part of the Albany's Rebels season. 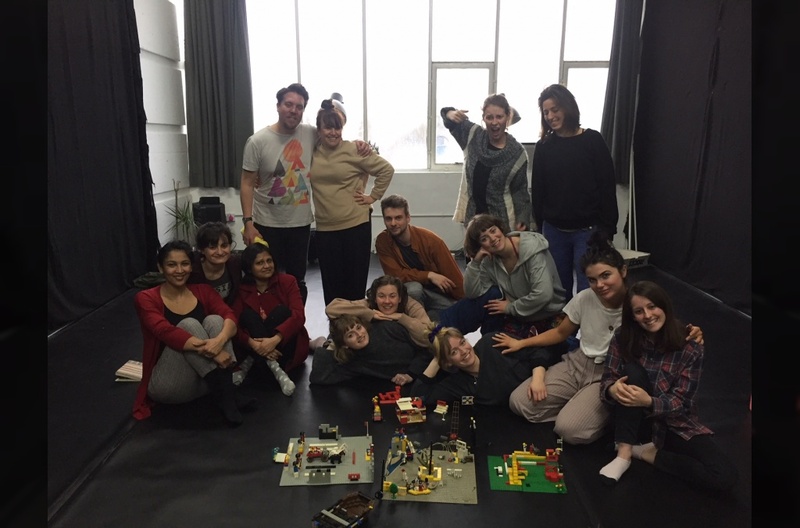 Last weekend marked the end of our fourth year of running the scheme – the last workshop day is always an emotional one as we look back over where we've come together, the distance we've travelled and the friendships we've formed. The mentored companies always provide huge inspiration for Tangled Feet, and we've sought out opportunities to work with these artists where possible with paid opportunities, and to maintain the relationships. Our hope is that over time we help to develop a network of ensembles who share information and offer support, guidance and inspiration to each other as we find a foothold in the industry. How can NPO-funded buildings and companies help ensembles? Space is key and often it sits empty because hire charges are too high. All funded buildings should be factoring into their financials to offer space at discounted or free rates to emerging artists. Seed Commissions: £12k - a small chunk of change for an NPO building - could germinate 12 companies over the year with £1k seed commissions that they could match-fund with their first Project Fund from Grants For the Arts. One a month with a bit of space and expertise as in-kind support - and you've created a year-round hot bed of ensemble creativity. Marketing: Too often we hear the line that it's too hard to sell tickets for new/emerging work. But in our experience, with a collaborative, imaginative approach and a company willing to put in some legwork, really sizeable audiences can be found. Theatres need to stop using the lazy defence that putting a show in a brochure should be enough to magically sell tickets and commit properly to audience development. Emerging companies are often full of ideas and happy to expend energy trying new things. This could be a learning opportunity for both sides. Paid internships: If Tangled Feet can commit to putting a properly paid internship on every single production, then so can major buildings and companies. Target these internships towards those without privilege. Take stock: what can you spare or share? Once we are funded and resourced, we often have more than we need or can use at any one time. What's that portable lighting rig doing between shows? Is there a bit of extra space in your store? A spare desk in your office? Could you loan out your van at cost? Find someone who will benefit from your very kind in-kind contribution. How can Emerging Ensembles help themselves? Stop subsidising the sector with unpaid labour. At least keep track of unpaid hours and their equivalent value so you can demonstrate what the actual costs are. As soon as you are able, build the cost of producing and administrating into your show budgets to sustain yourselves between projects. Build in self-care: You can't keep going if you're not looking after yourselves and each other. Emotional well-being is vital: take time to check in, address issues and prevent burn out. Find a fair way to share the load: If one person is doing all the legwork unacknowledged, resentment is going to set in and then it's game over. Keep communication open and clear about who can do what; this will likely evolve over time as people's capacity changes. Ask for what you need: don't be shy, people will often say yes. Remember to have fun: Allow yourselves time to play stupid games, make each other laugh, hang out as mates. It's the fuel that will keep you burning long-term. Tangled Feet's mentorship scheme has been supported for the last four years by the Andrew Lloyd Webber Foundation. We're taking a short hiatus while we secure funding for the next round, but hope to begin the next year this autumn. On Wednesday 12 December, Tangled Feet are offering a FREE workshop for Bedfordshire based Drama teachers. 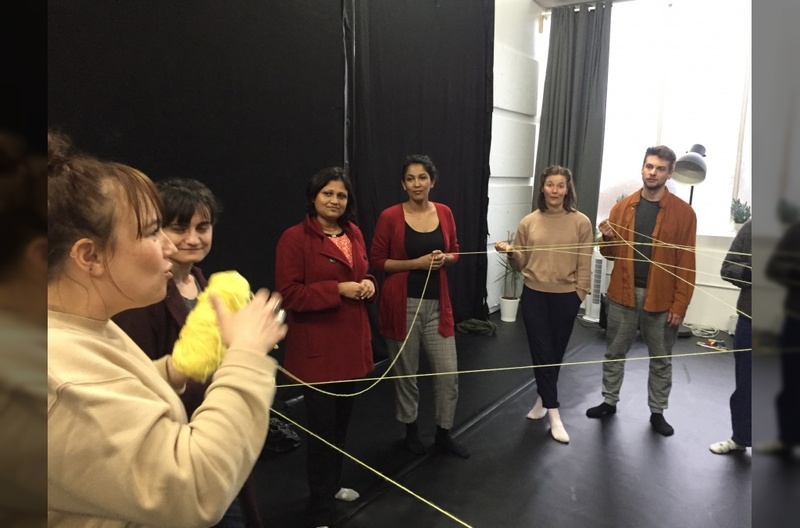 As part of the Arts Council’s #thankstoyou programme Tanged Feet are saying a big THANK YOU to teachers in Bedfordshire and offering some free professional development, theatre training and fun times as we share how Tangled Feet work. 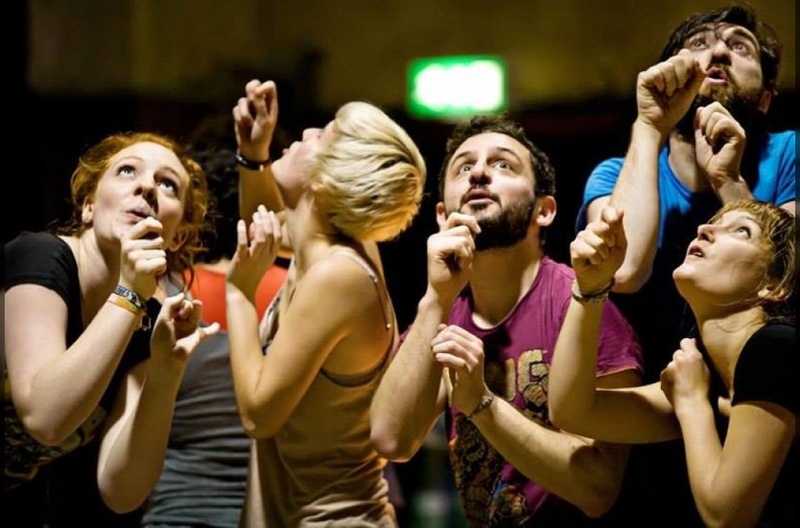 If you work as a Drama teacher in a Bedfordshire secondary school and are a National Lottery player you can gain access to the working style of Tangled Feet theatre company in a 90 minute workshop. Tangled Feet are one of hundreds of participating National Lottery funded organisations across the UK saying ‘thanks’ to people who have raised money for good causes by buying a lottery ticket. The idea is simple: On Wednesday 12 December at 4 - 5.30pm, come along to Cardinal Newman Catholic School to join colleagues in a workshop led by Nathan Curry, Co-Director and Emily Eversden, Participation Director of Tangled Feet. Tangled Feet is a theatre ensemble and a charity. We create original, visually stunning, transformative performances, sometimes inside theatres but often in other public spaces. We create atmospheres and experiences for the audience which are thrilling, surprising and memorable, which always feel 'live' and in the moment, where the unique reality of this audience, in this moment, right here is acknowledged and celebrated. Arts Council England champions, develops and invests in artistic and cultural experiences that enrich people's lives. We support a range of activities across the country - from theatre to digital art, reading to dance, music to literature, and crafts to collections. Great art and culture inspires us, brings us together and teaches us about ourselves and the world around us. In short, it makes life better. On the 11th and 12th March 2017 Seemia, ivo, Broken Chair and Ditto joined Nathan, Alex and Kat for the first weekend of Mentoring workshops. The first feat was getting everybody together in one room, one of the first things that can be tricky when working in an ensemble. Just bringing everyone together for two days in a row was beneficial. On Sunday we also had Sam Baines from Penguin in the Room (www.penguinintheroom.com) take the teams through a three hour marketing workshop. Sam was, as always, full of excellent knowledge and advice to help the emerging companies on their way. There's homework to be done and lots to think about but we're looking forward to gathering together again in a few months to talk more, learn more and play a game or two (of course!). - Has the company got a commitment to an ensemble working method or ensemble decision making? - Is the company looking/needing for what we can offer? (we have't got all the skills so was important for us to know whether we have what you need). We are very much looking forward to starting our first workshop with you all on 11th March. This however is not the end. The amount of applications we recieved made it even clearer to us the need there is for guidence and learning when you are starting a company and the hunger there is for it. We would have treasured this kind of workshop when TF started out as it is such an unknown world. Applications, funding, contracts? Although we are still learning there is information we have learn't on the way that we want to pass on and we are hoping that we will be able to do this for the companies that contacted us for this programme. Watch this space! Part of the Emerge/ncy project has been delivering some theatre workshops with different groups of migrants and refugees. By delivering workshops (which focus on communication, group working skills, basic physical theatre and mask skills, and having fun together) the creative team have had the opportunity to meet a really diverse group of people affected by migration, which has helped us get an understanding, on a personal level, into some of the issues we are wrestling with in the show. Overall, we worked with about 100 people. We delivered workshops in two settings: a group called R and B (‘Refugees and Befriending’) organised by the Red Cross, which runs 4 groups across London for young unaccompanied refugees and asylum-seekers (mainly aged 14-21). The other setting, via an organisation called Migrant Help, was a hostel in South London where people of all ages and nationalities are sent to live temporarily while their asylum claims are processed. The workshops were quite daunting to plan - we didn’t know any of the participants or really their background, and many of them didn’t have more than basic English. But once we got going, we had huge amounts of fun. After the Red Cross workshops, we all sat down together to eat dinner, which was a lovely opportunity to just hang out and chat. We celebrated one boy’s birthday with a cake and I wondered where his mum was, and if she knew how he was doing. I found it hard to believe at times that some of the young people we were sitting round a table eating dinner with had made such difficult, arduous journeys alone. One softly-spoken young man told me about his trip from Eritrea, via Ethiopia, Sudan, Libya, Italy and France. You know the Jungle? he asked me. Have you been there? No, I said, what’s it like? Cold, he answered. And wet. I asked him what he thought of London, whether he liked it. He was hugely positive about our city. “There’s no trouble here” he told me. It really shifts your perspective being told that our bustling, competitive home city is an oasis of peace, but to some people, it really is. The workshops at the hostel were some of the most joyous workshop experiences I’ve ever had, despite the somewhat institutional setting and difficult conditions the participants are living in. The hostel is quite basic, and people of many different nationalities (many with young children) and living in close proximity and with huge amounts of uncertainty as they wait indefinitely for asylum claims to move forward. Many of them have no idea how long they will stay - and often people are moved at a day’s notice, so it must be very hard to build any relationships or get a meaningful sense of the local area. We decided to lead with a big music jam, and hauled along an arsenal of instruments and percussion. Mario and Tunji built a brilliant guitar/drum/voice improvisation up, and soon 35 or so people had gathered to join in - to play, make music and enjoy themselves. The youngest was 4, the oldest probably 74. One couple from Kabul brought a three-week old baby. Despite the cultural differences, people joined in with an enthusiasm, energy and playfulness that I've rarely experienced and we all left on a big high. We've got a huge amount out of delivering the workshops, and hopefully have left a useful experience and positive memories with the people we worked with. The workshops to me were a reminder of what gets completely left out of new coverage of refugee/migrant stories: the incredible and positive human qualities people bring with them. The people we have met and had the privilege to work with have been resourceful, resilient, brave, playful, inventive, joyous, warm, determined, tolerant, collaborative, generous and wise. These are all qualities we desperately need as we collectively face the huge challenges this century is serving us.